1. Heat creamed coconut in a small saucepan over a VERY low heat until it has just melted. Keep an eye on it to make sure it doesn’t burn. Take off the heat and stir in soya cream and golden syrup until mixed. Mix in desiccated coconut. Be precise with the liquids – too much and it will be over-moist. 2. Divide your coconut mix into 16 equal pieces and roll each into a flattish disk which will just fit into your cupcake case, don’t put them in the cases just yet though. 3. Melt chocolate in a double saucepan. 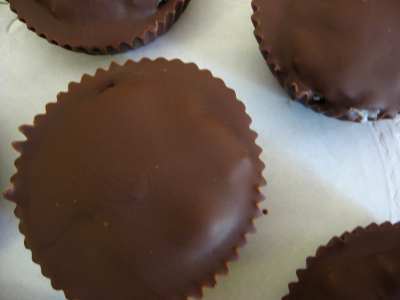 Put 1 tablespoon of melted chocolate in the bottom of each of your cupcake cases. You should have about half of it left – you’ll use this in a few minutes. 4. 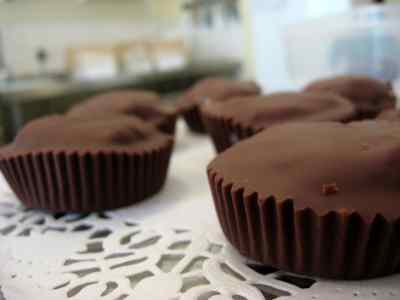 Place a coconut disk into each cupcake case on top of the chocolate and press down – some of the melted chocolate should squish up over. Cover with the remaining chocolate, smooth over a bit and put in the fridge to set. Once set you can remove the case if desired – store covered in the fridge until you are going to eat them and eat within a few days. 5. If you want to make these sugar-free, replace the golden syrup with Sweet Freedom or agave syrup. 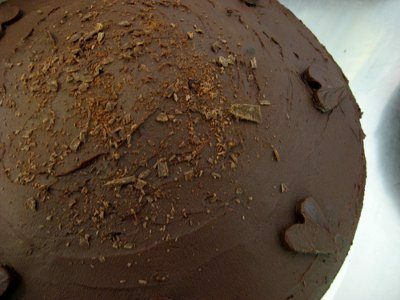 Use sugar-free vegan chocolate to cover the coconut. The recipe was inspired by, though quite different to, the recipe here on the mouthwatering vegan recipe website.